For a smoother and more enjoyable computing experience, choose this outstanding Laptop Memory Module from VisionTek. 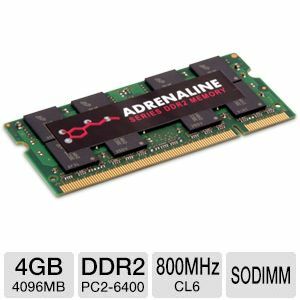 This laptop memory module comes with 4GB of DDR2 memory that optimizes the computing speed of your PC to ensure smoother multitasking capabilities, even during heavy system traffic. It's also structured with a 200-pin design to perfectly fit your motherboard's SODIMM socket. So go and purchase the VisionTek Laptop Memory Module right away!